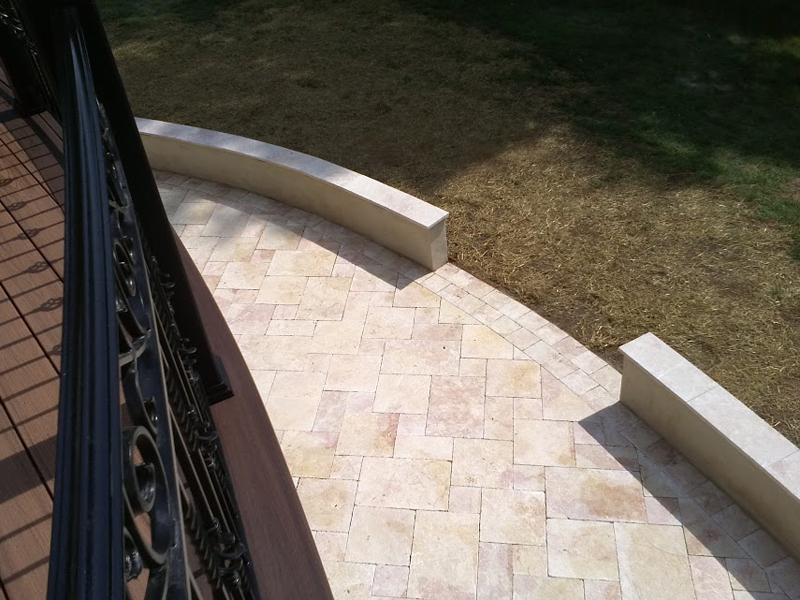 With so many outdoor patio designs and so many ways to use them, there’s no reason to put off having a beautiful patio area custom built for you. 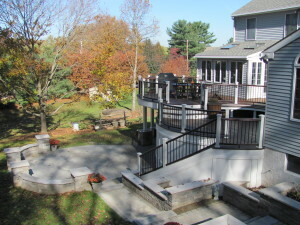 Amazing Decks’ exceptional outdoor patios will surprise you with their attractiveness, durability, and functionality. 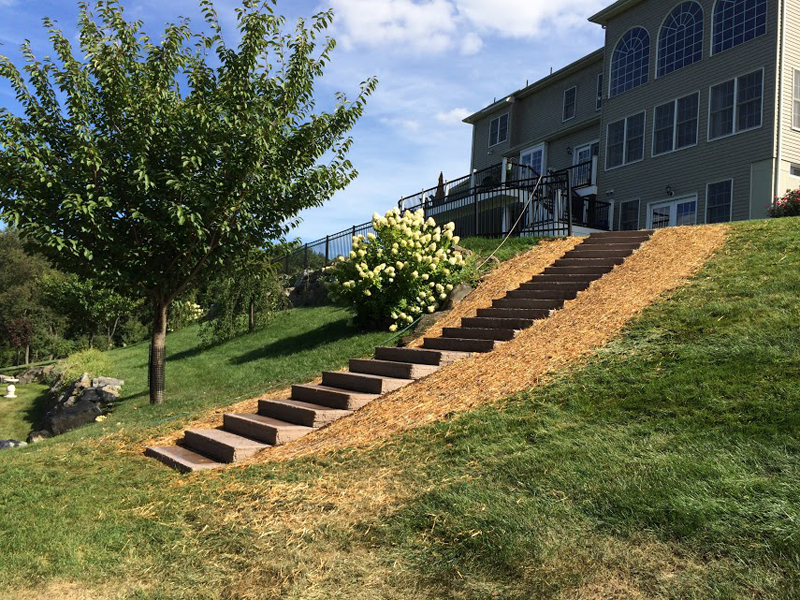 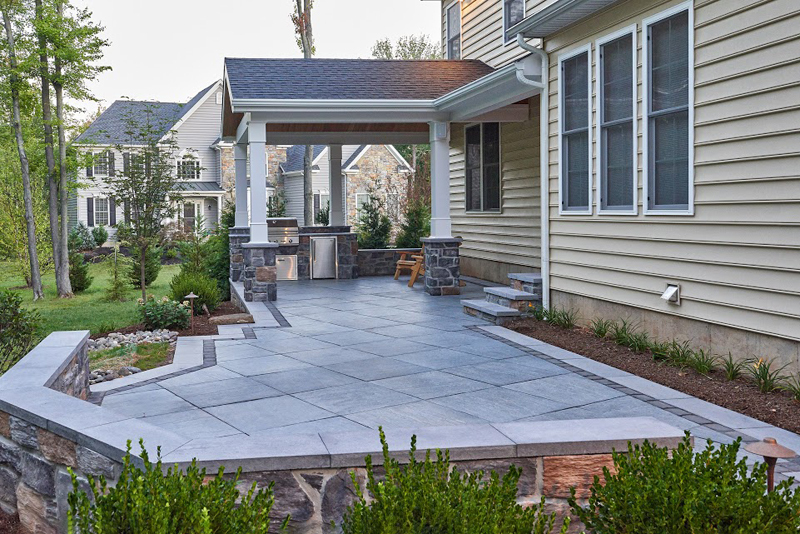 There’s no end to the way people use their patio areas, and with a custom-built patio, you’ll have the versatility to do just about anything you want to do. 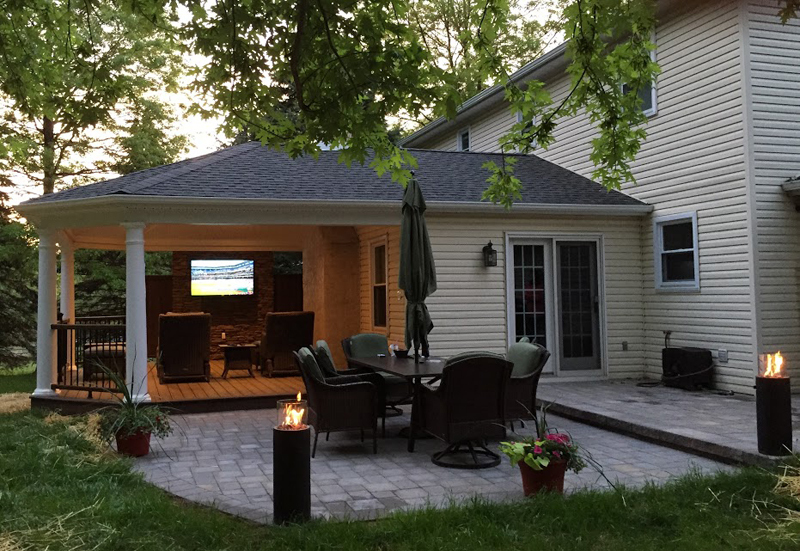 Patios are the perfect venue for all sorts of parties and celebrations, from birthdays and anniversaries to graduations and holiday events. 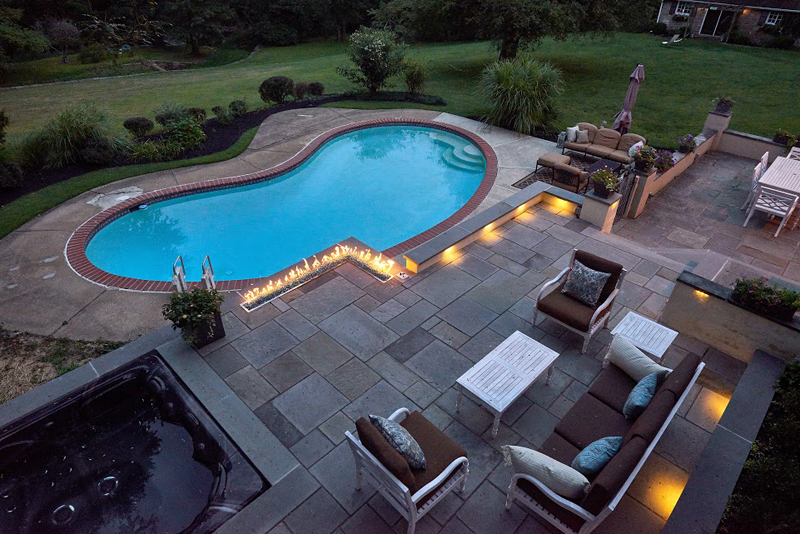 Add a kitchen area or an attached pool or spa, and you’ve got everything you need for hours and hours of fun and enjoyment. 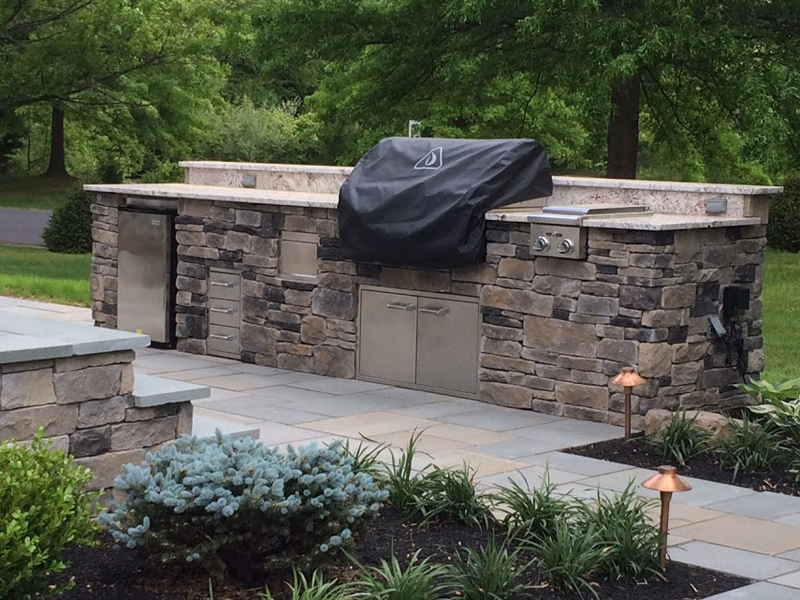 Amazing Decks can customize amazing outdoor patio designs to include kitchen appliances from Fire Magic, a recognized leader in top-of-the-line kitchen products. 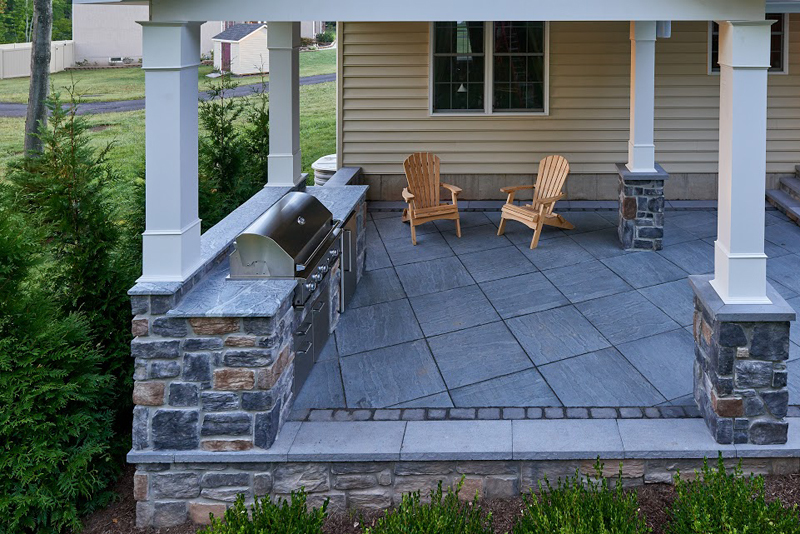 Think of how much easier cookouts will be when you’ve got the whole setup right in one place. 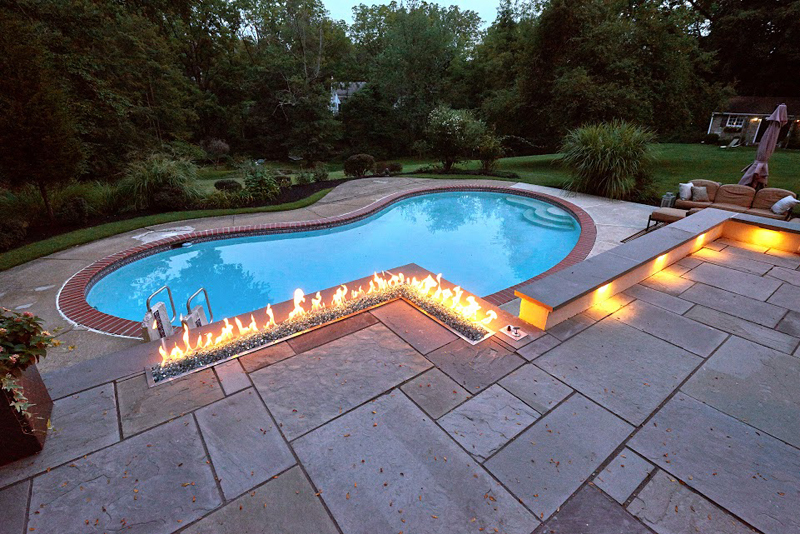 Imagine how relaxing it will be to lounge around in a lovely hot tub on a cool autumn evening, gazing at the stars, letting your body unwind from a hard day at work, and – best of all – spending quality time with the whole family. 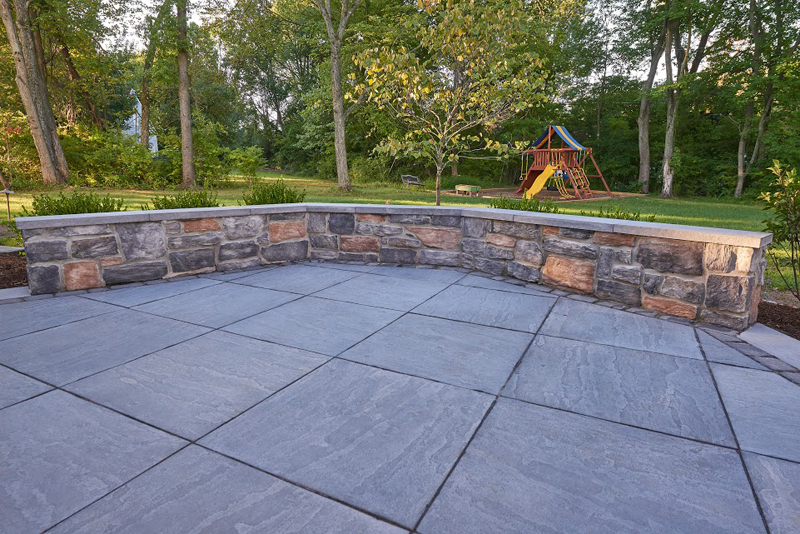 Often when people think of a “patio,” they think of a square slab of cement cluttered up with boxes, unused exercise equipment, toys, and maybe a ramshackle grill. 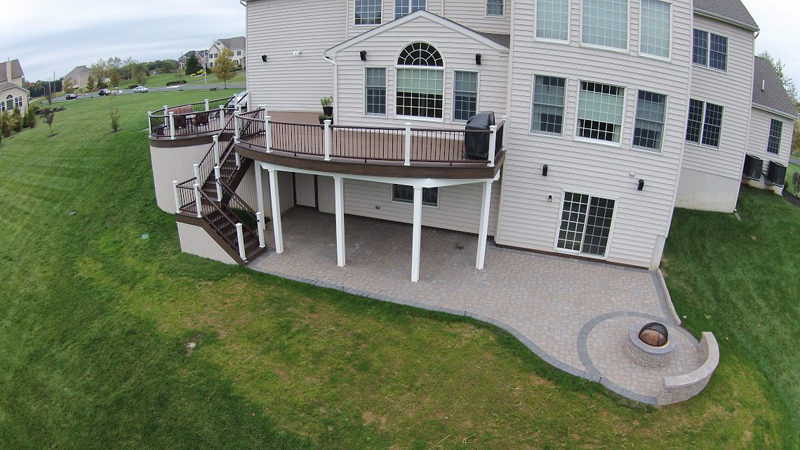 Amazing Decks thinks differently. 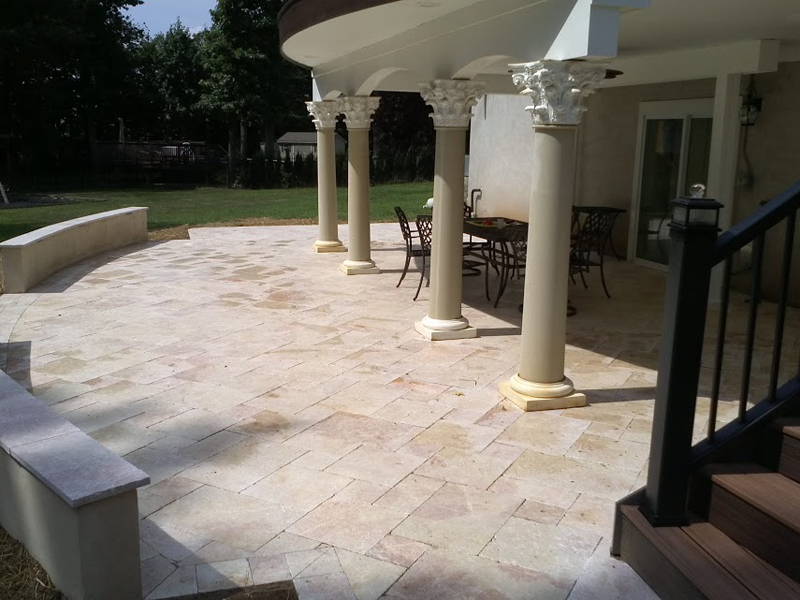 We create amazing outdoor patio designs that are gorgeous extensions of our customers’ homes and that support their lifestyles – an area that is not only nice to look at but fully functional for whatever you want to do with it. 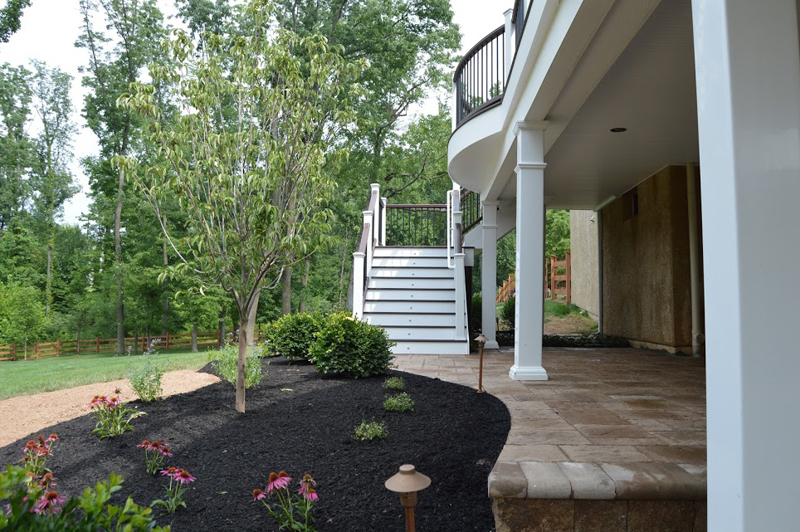 One other thing to keep in mind – elegant outdoor patio designs add instant value to your home. 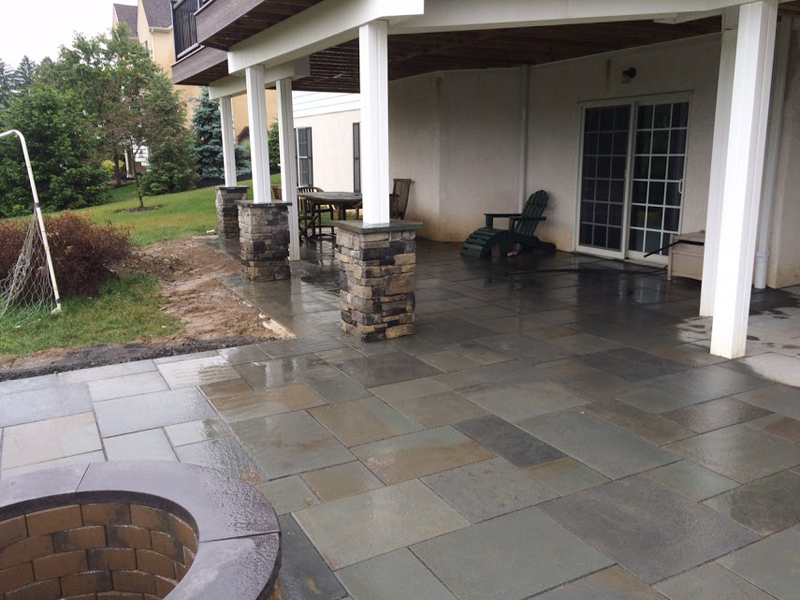 This is another good reason to let us custom build an outdoor patio living area that will truly exceed all of your expectations. 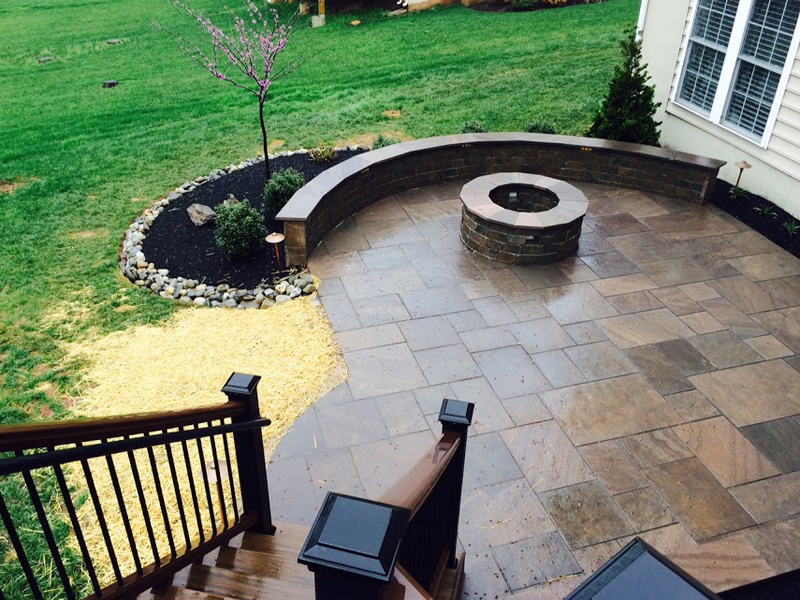 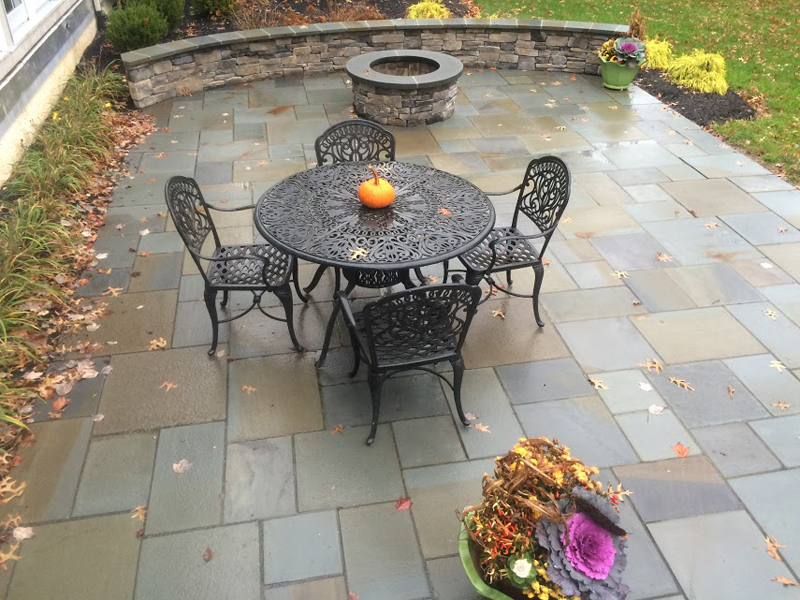 Looking for a Patio Designer? 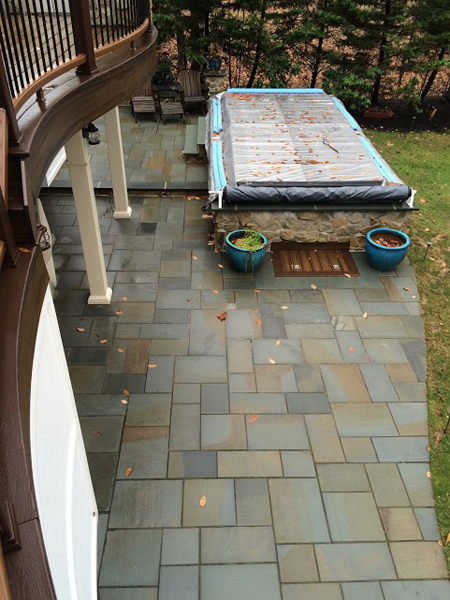 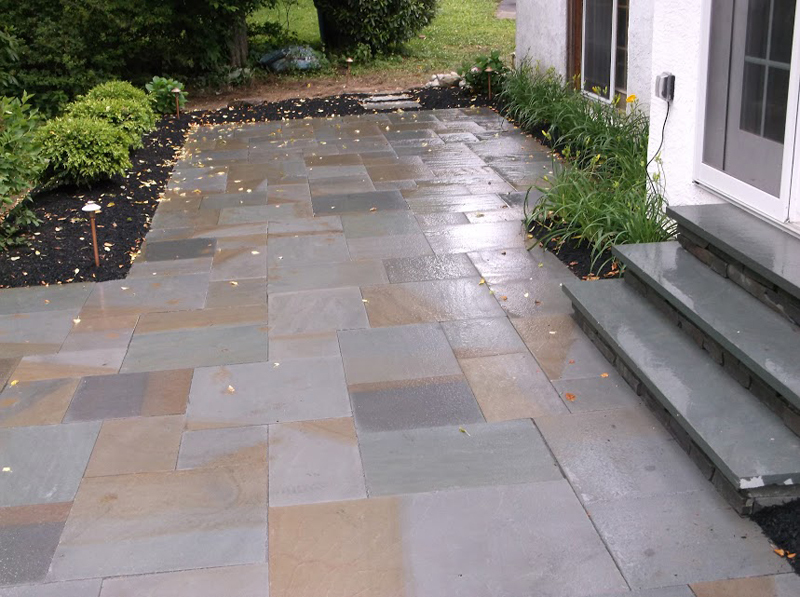 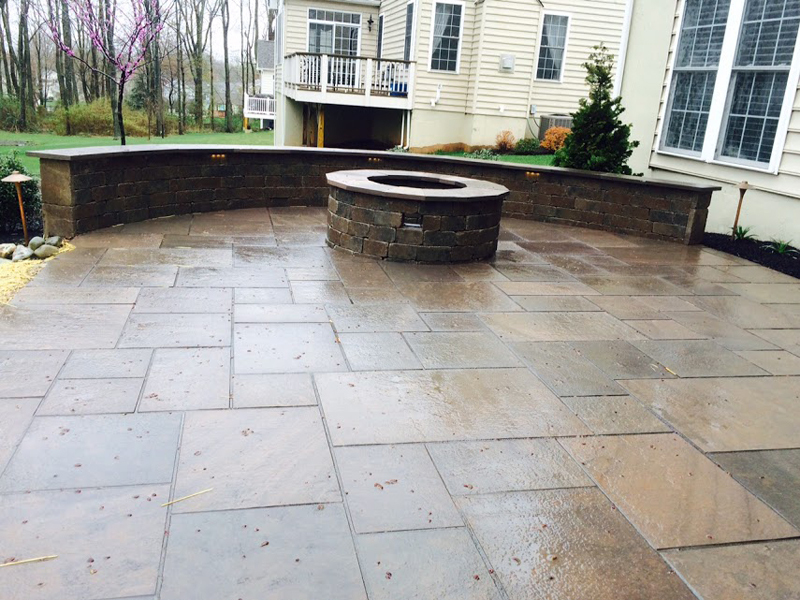 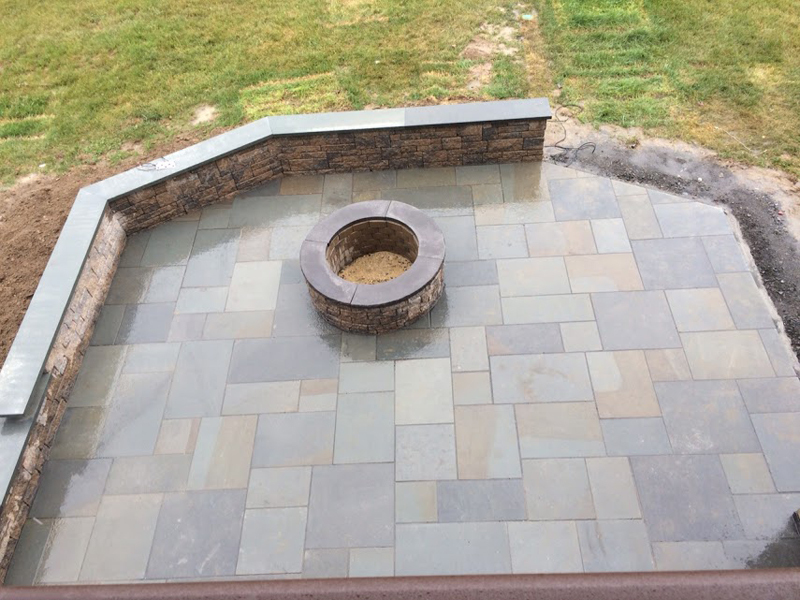 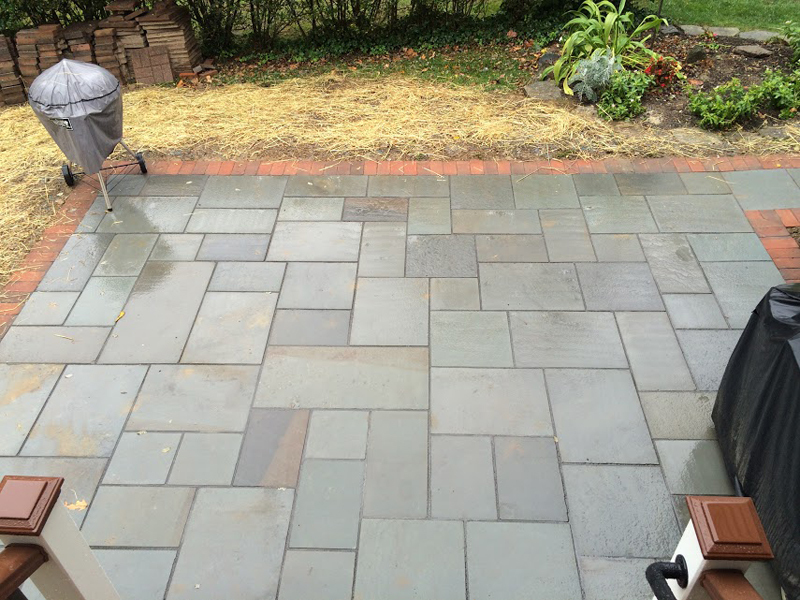 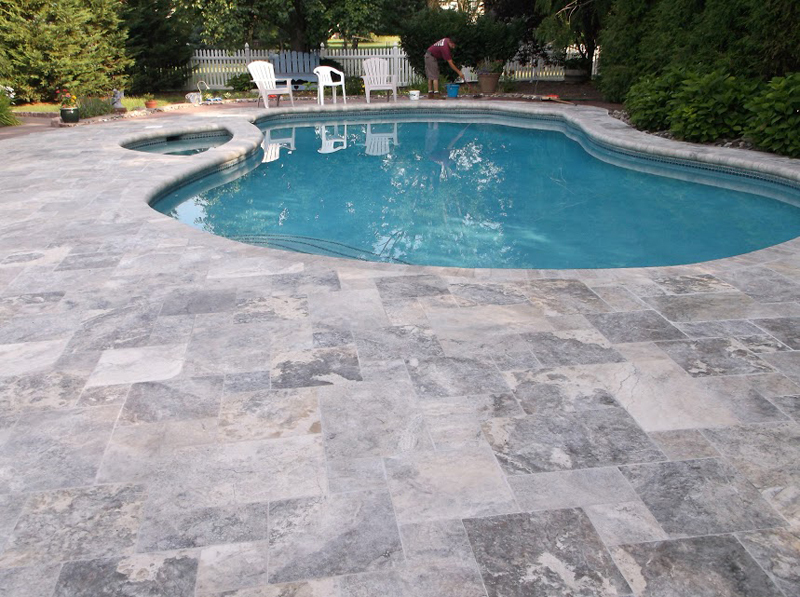 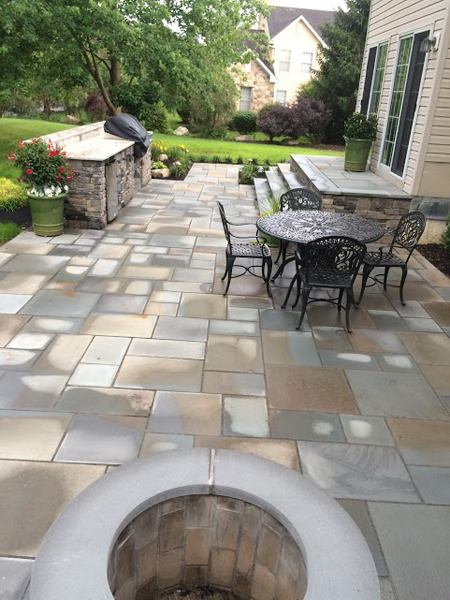 If a great patio that’s beautiful and versatile is something your home is missing, contact us today and ask for a free estimate! 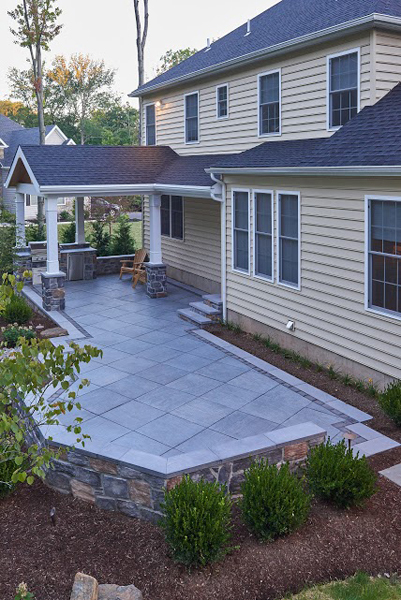 A friendly associate will be happy to answer all your questions. 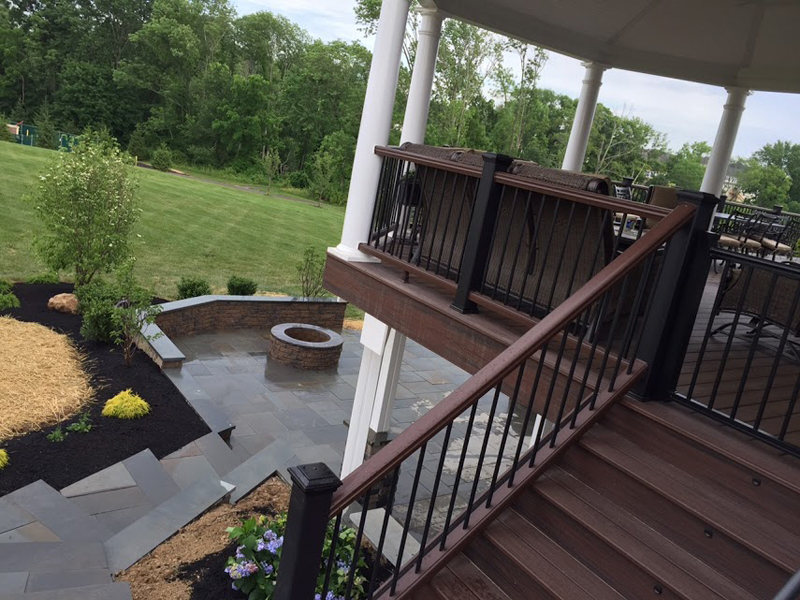 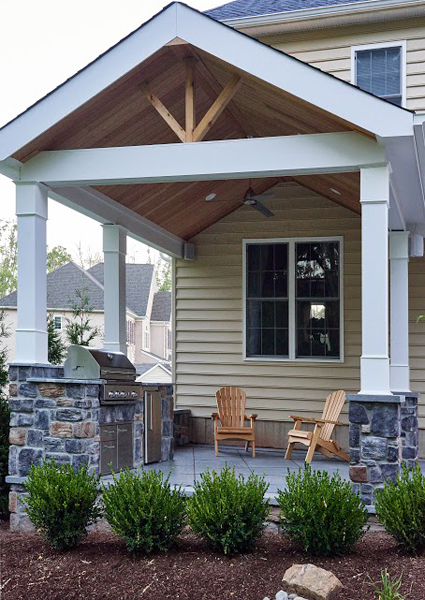 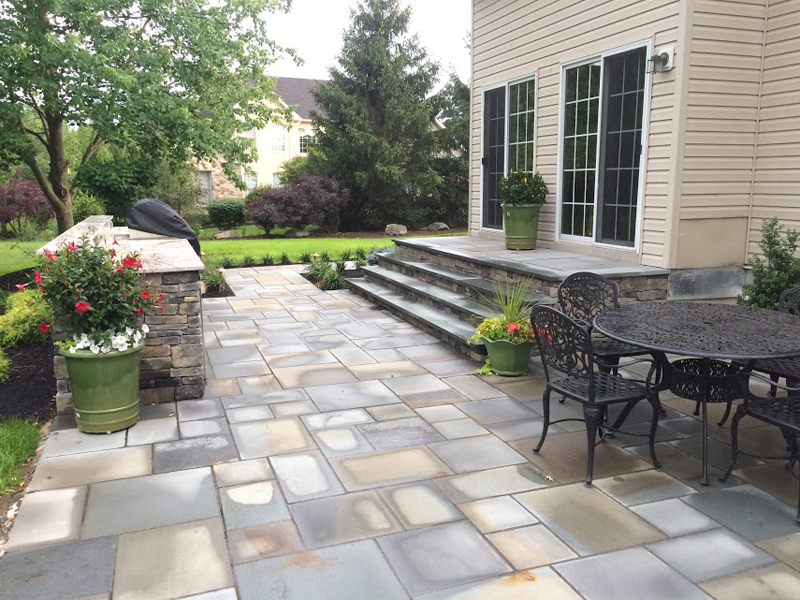 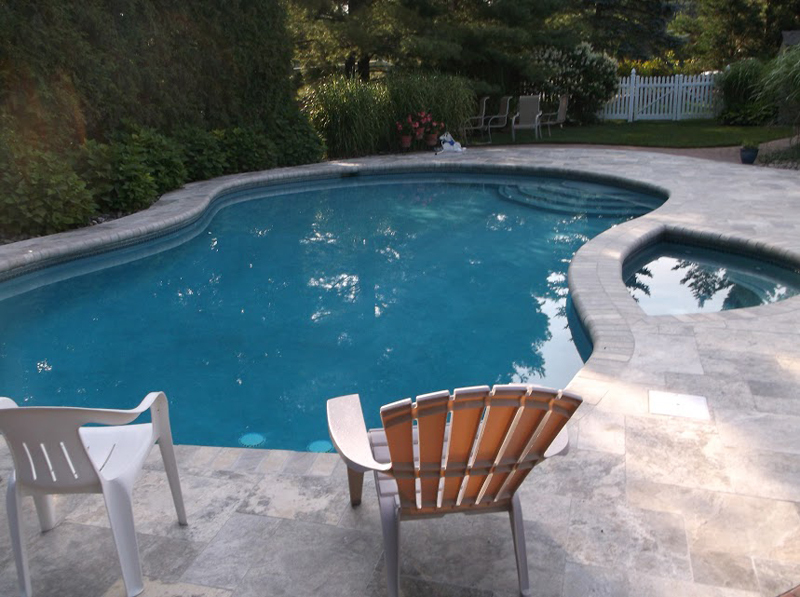 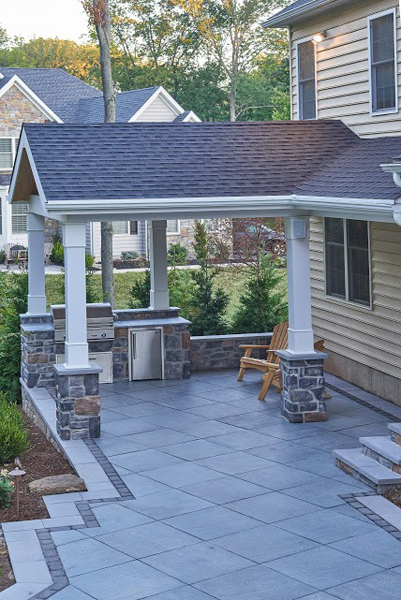 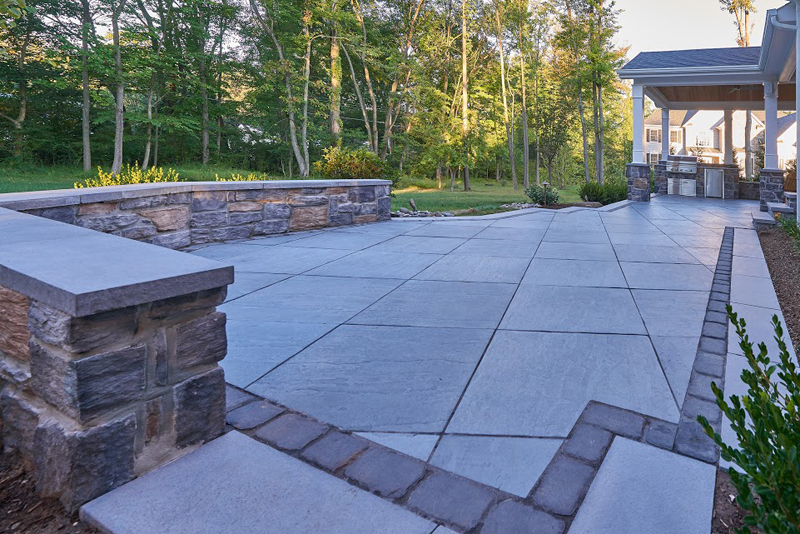 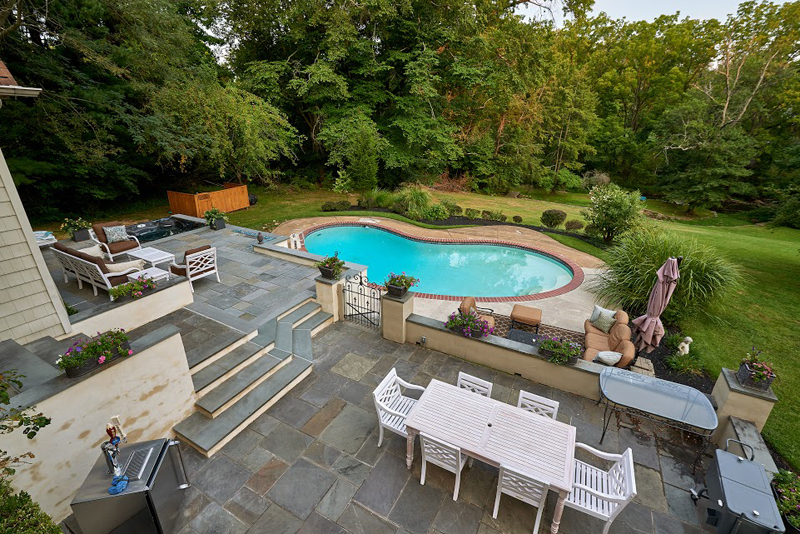 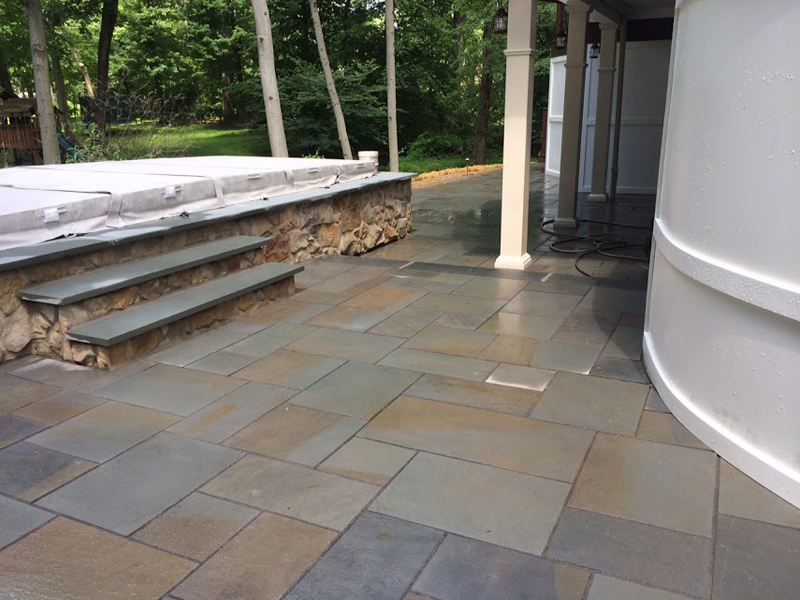 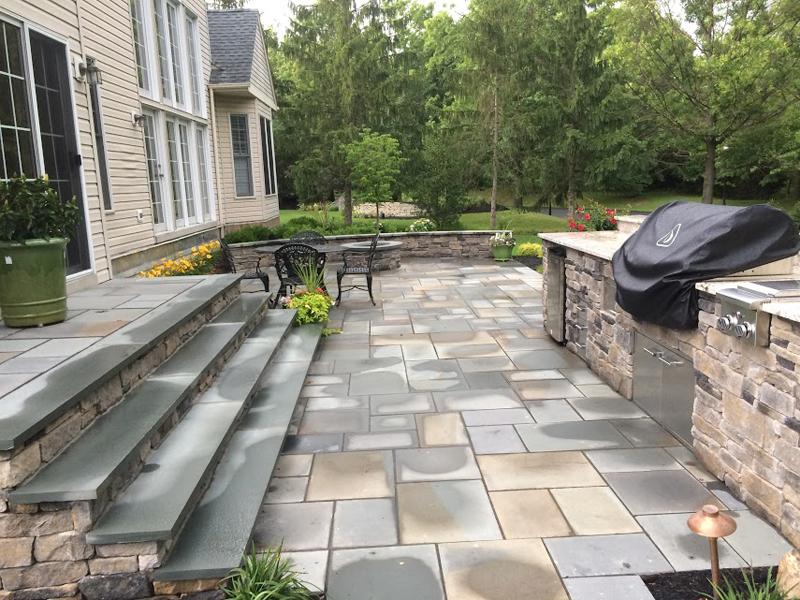 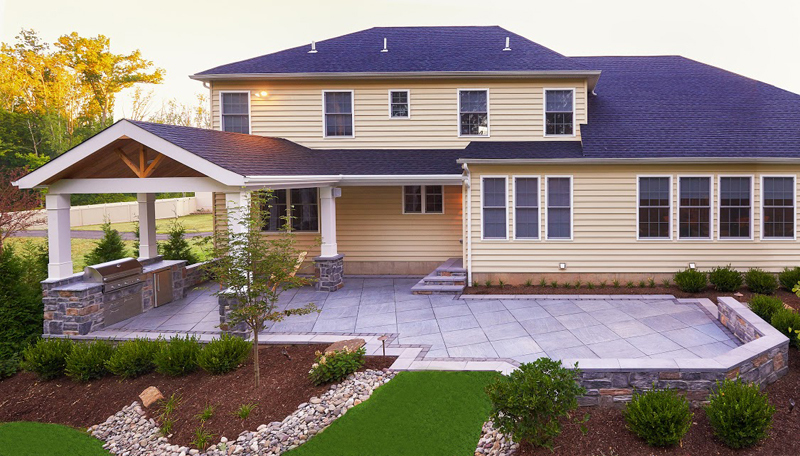 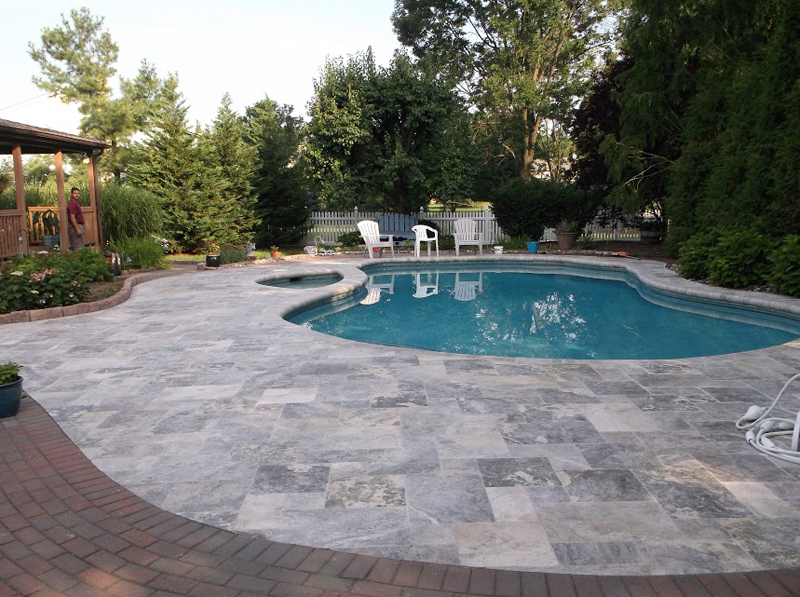 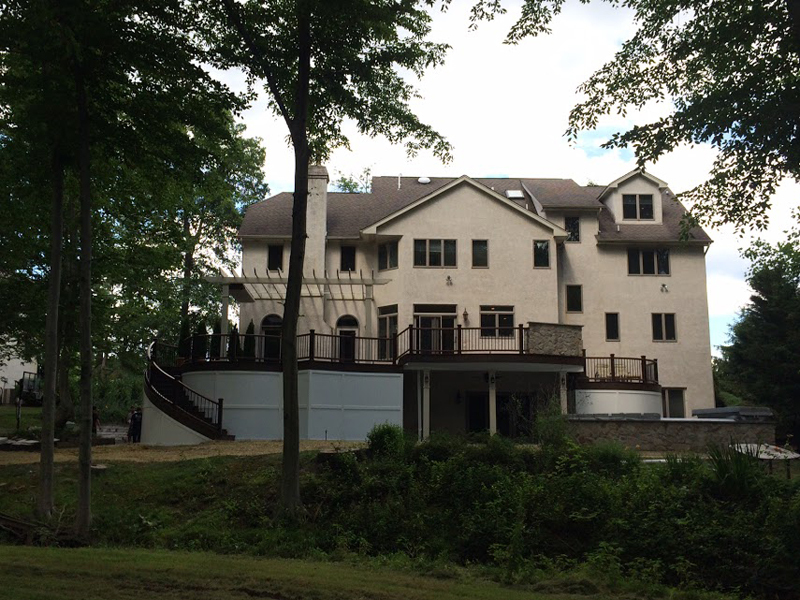 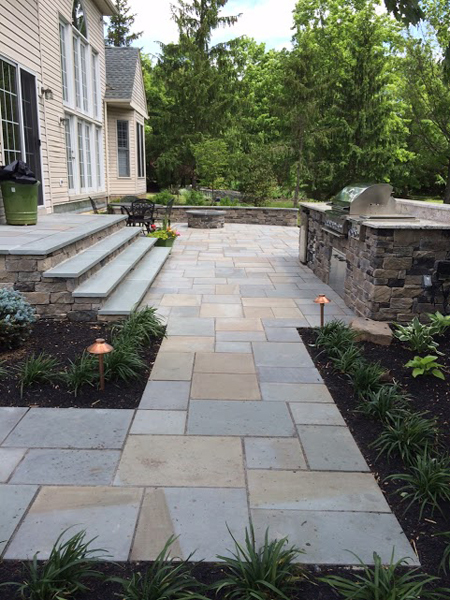 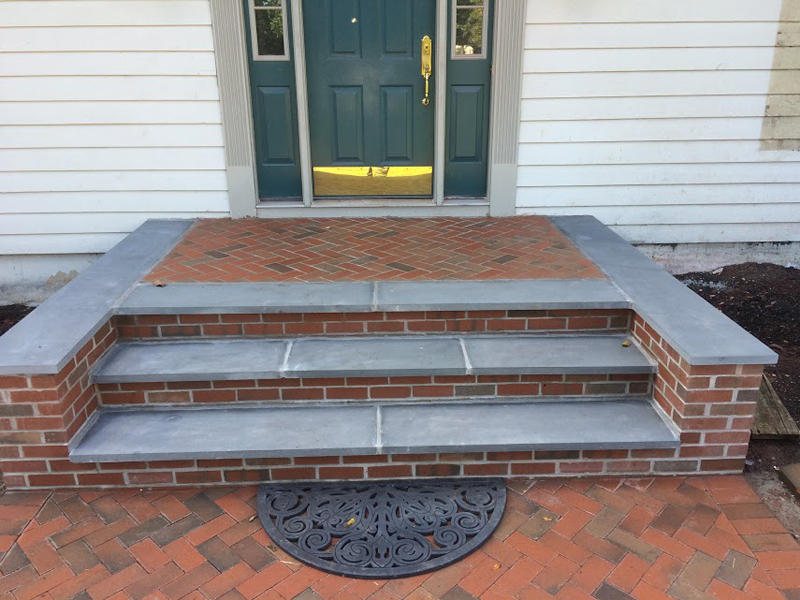 For information about outdoor patio designs and builds in PA, call Amazing Decks at (215) 654-1886 or visit our showroom at 11 South Ridge Ave., Ambler, Pa.
For information about outdoor patio designs and builds in New Jersey, please call us at (215) 654-1886 to learn more.